We are excited to meet you, and your pet! Dr. Janet Tosh, Veterinarian for over 30 years. 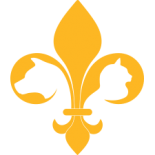 A Louisiana native, Dr. Tosh graduated from LSU School of Veterinary Medicine in 1978. She is married, and has one daughter who recently graduated from college. Family is everything to Dr. Tosh who raised her daughter in Clearview Veterinary Hospital and welcomed Dr. Bennett to the practice she founded to do the same. Dr. Bennett joined our staff in 2014 after completing an internship program at the specialty practice MedVet of Louisiana and recently became the owner of the practice. This internship greatly enhanced her expertise in surgery, internal and emergency medicine. Dr. Bennett graduated from the #3 ranked Veterinary Medicine program in the country, Colorado State University in Fort Collins, CO.
During veterinary school she spent one month working at Disney’s Animal Kingdom and spent time in rural Panama and Costa Rica providing veterinary care. She also worked extensively with wildlife in South Africa. Dr. Bennett is married and has two children and has raised them in an in-clinic nursery with a full time nanny so that she can give her full attention to Clearview Veterinary Hospital without sacrificing her role as an involved mother. Read more about Dr. Bennett in My New Orleans. Matthew has been part of the Clearview Vet staff since June 2004 and he moved into the role of head receptionist in 2006. He enjoys the variety of tasks he does around the hospital and most importantly interacting with clients, patients and staff. In his free time he enjoys spending time with his family and two dogs, Jersey & Mishka. Matthew has an obsession with bread and can tell you which restaurants have the best in town!!! Roxane became a part of the team in August 2015. She is a compassionate and effective communicator and has enjoyed getting to know our clients and their pets. In her free time she enjoys cooking, shopping and spending time with family, friends and her recently adopted dog Harley. Nikkie joined Clearview Veterinary Hospital in October 2005 and after starting in the kennel has worked her way into the position of head veterinary assistant. She has an interest in assisting in surgery, running anesthesia and is certified to administer laser treatments for a variety of conditions including arthritis, wounds and ear infections. Nikkie is married to our receptionist Matthew and in her free time enjoys family time, cooking, hiking and playing with their dogs Mishka & Jersey. Kayla joined our team in August of 2016 in the kennel and has worked her way up to the position of veterinary technician. She has great compassion for all of the pets that come to see us. Her favorite thing about working at the hospital is getting to know the personalities of the animals and their families. In her free time she likes to spend time with family and her dogs Oliver, Evee, Maple and Caramel. Avery started at Clearview in March 2018. He is currently a student at Delgado Community College studying computers. His main interests at the clinic include assisting in surgery, getting to know the animals, and our house cat Beau. In his time off he enjoys watching American Horror Story, helping his grandma decorate for the holidays and spending time with friends. Breane joined the staff at Clearview Veterinary Hospital in March 2018. Her main interest at the hospital is caring for critical patients. When she is not at work she enjoys spending time with her shepherd mix Stoli. She also loves to listen to music and spend time with friends. Linda started working at Clearview in February of 2018 after spending many years working with Medvet the local emergency & specialty center and before that working as echocardiologist. Linda’s main interests are anesthesia, ultrasound and echocardiograms. During her free time Linda enjoys training for and participating in herding trials with her dogs. She also offers herding classes on her farm where she houses sheep, ducks and a horse.